The online ESL marketplace is crowded and has low barriers to entry. Every day it seems that there are more entrants in the busy world of online ESL lessons! Take a look at this list to see the ever-growing pool of companies in the space. Not to mention that there’s little need to be a ‘company’ to enter the market. In fact, any teacher or group of teachers can enter the online ESL marketplace by developing a basic website and selling Skype Lessons. The benefit of a low barrier industry means that setting up your online school is inexpensive. Likewise, your competitors can easily enter the market too. Thus, it becomes difficult to differentiate your offering. How do you sell your teaching services to a student when there are hundreds of similar offerings to choose from? We routinely deal with this issue at Off2Class. Teachers who are looking to set up independent online ESL businesses wonder how they will be able to differentiate their offering. We’ve long advocated that teachers entering the online ESL marketplace focus on a niche as a means for differentiation. Today, we’d like to discuss the need to build student credibility to compete in the online ESL marketplace. Establishing student credibility is the key to building your brand. Even if you have a handful of students, it’s essential to build a credible relationship with the first students who walk through your virtual door. 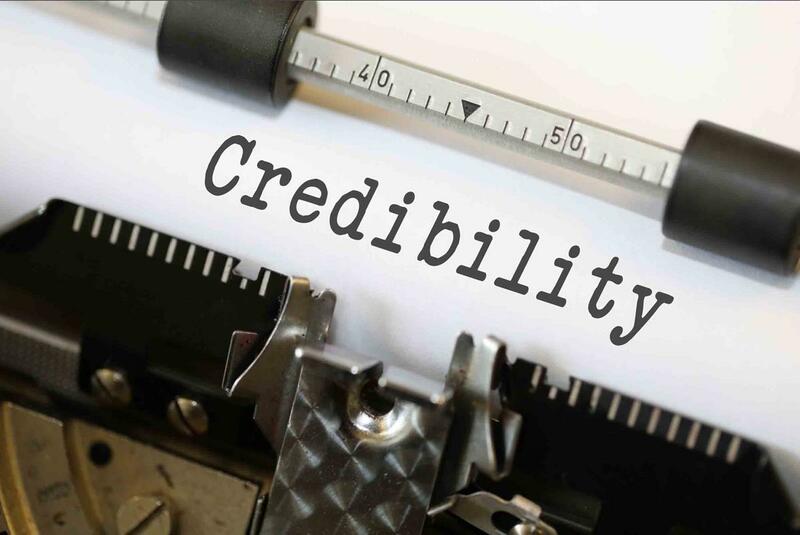 Why is credibility so important? Because it is the referrals you receive from your initial students that are the key to growing your business. Think about it this way. Why should a student choose your school over the hundreds of other options? You are more likely to gain new students if these potential students receive a recommendation from a friend or colle ague who vouches for your credibility as a teacher or school. Of course, to receive this recommendation you will already have had to build credibility with the student making the referral. How do we build credibility with our students? Building credibility with your online ESL students comes down to quality teachers and your learning infrastructure. We’re going to assume you’ve got the first part (quality teachers) covered! By learning infrastructure, we mean the learning tools that a student comes into contact with at your school. The lessons you use to teach in your live virtual lessons. The homework portal you provide between lessons. The placement test you provide new students. The lesson summaries you make available for review after class. To build credibility with our students, we need to provide the same level of learning infrastructure provided by a bricks-and-mortar language institute.